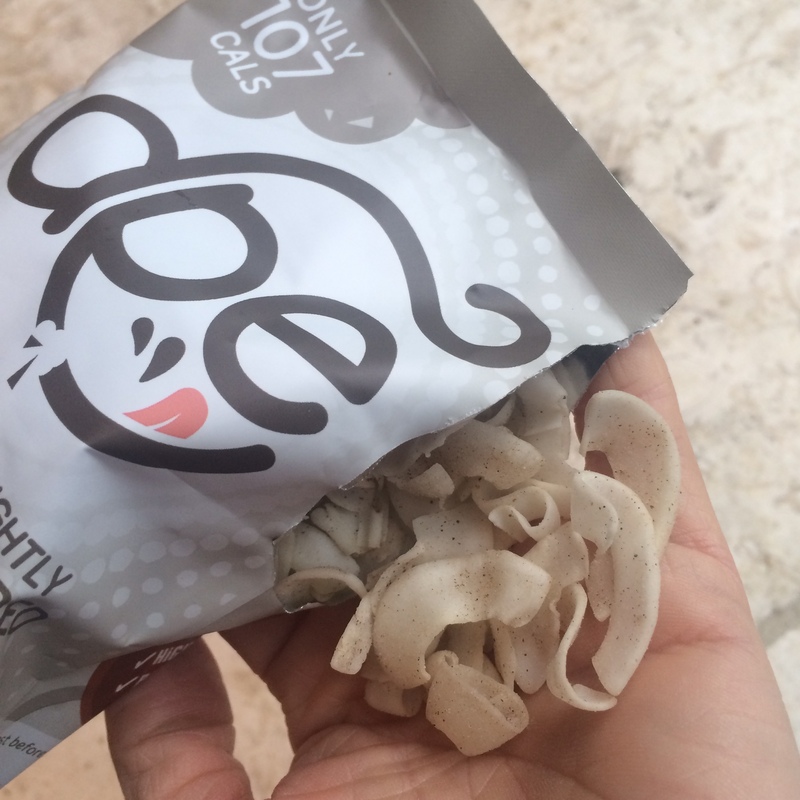 Ape Crispy Coconut Curls – A review of a delicious savoury snack! 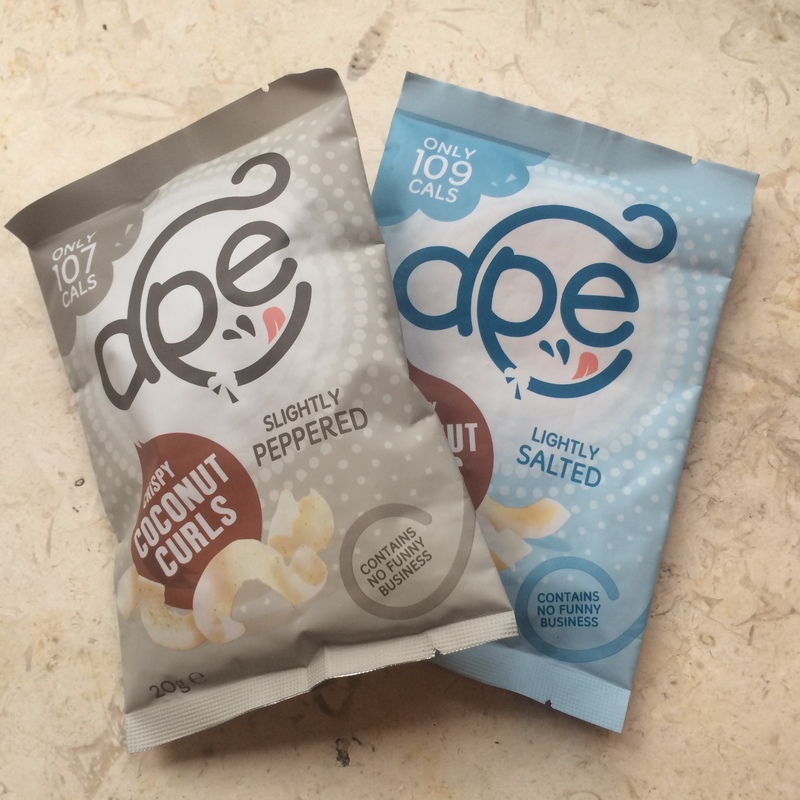 Well these kinda won me over right from the off – the anthropologist and monkey Dr in me was naturally drawn straight to any snack called Ape Crispy Coconut Curls and thrilled to be sent some to try. They’re made by a small london based company which also ticks lots of boxes for me as I’m always keen to support small businesses. So unlike most coconut-based snacks these are actually savoury, not sweet – which is fab! Finding a healthy, tasty alternative to things like crisps can be really tough and I’ve tried lots of savoury snacks in the past but I think these hit the spot the best. 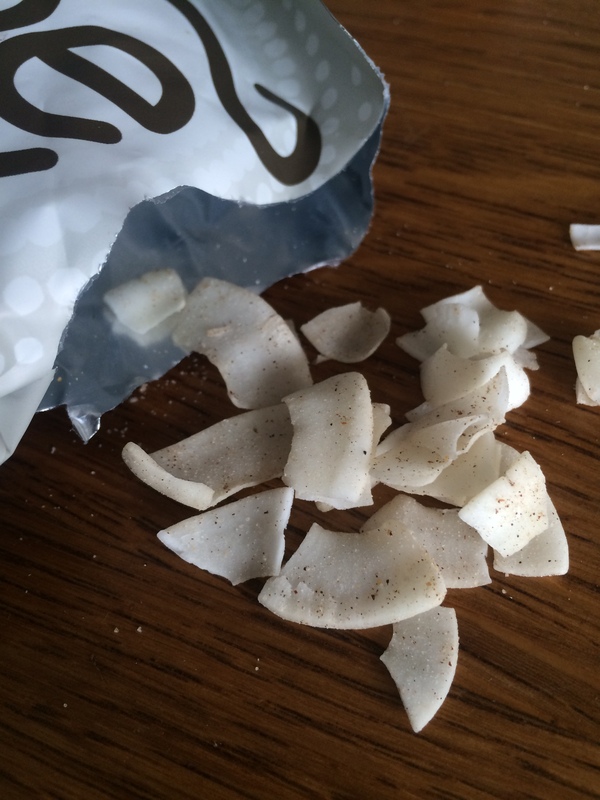 They are little bags of delightfully crispy coconut shavings with either a light dusting of black pepper or salt. Coconut is an awesome thing to snack on – it’s full of fibre and has more protein and less carbs than other savoury snacks like popcorn or potato crisps. They’re also full of good fats – medium-chain triglycerides which are linked to lots of healthy benefits increased calorie burning and make a great fuel as they’re easy for the body to metabolise. They also have antioxidant, antiviral and antimicrobial properties. So on to the curls themselves. They’re completely natural with only two ingredients – the coconut and seasoning and are dried, not fried. I tried both flavours and loved both of them! So much I wolfed them down! The slightly peppered flavour has just enough punch to give you a peppery hit without being overbearing and is super tasty. The lightly salted variety is also delicious – again not too salty but just enough to hit any savoury craving. The packs do look small so I was a bit worried they wouldn’t be enough but actually because coconut is so filling it was the perfect portion size. 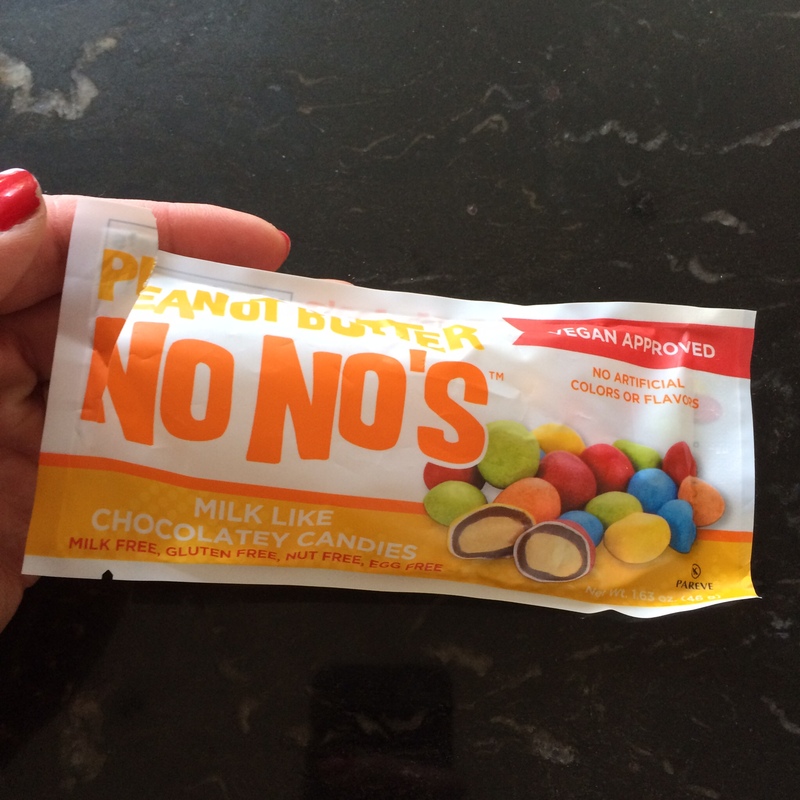 I will definitely be getting these again – they’re a brilliant on-the go snack, they’re only 107 – 109 kcals and are gluten-free and vegan so everyone can enjoy them! Grab yourself a few bags and start munching happy! If you want to find out more check out their website www.apesnacks.com or their facebook page and look out for them in Ocado, Morrisons, Planet Organic, As Nature Intended, Revital and Nourish (as well as some independent cafes etc). As you know, i’m always on the lookout for new healthy snacks and bars. 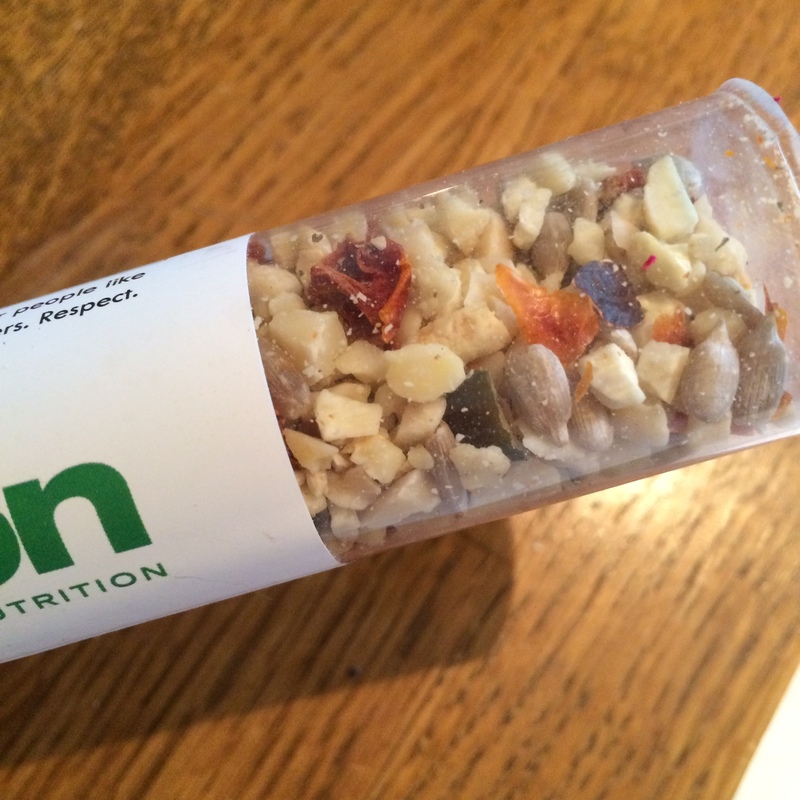 Recently I’ve had the pleasure of trying some new energy bars – Fossil Fuel bars. 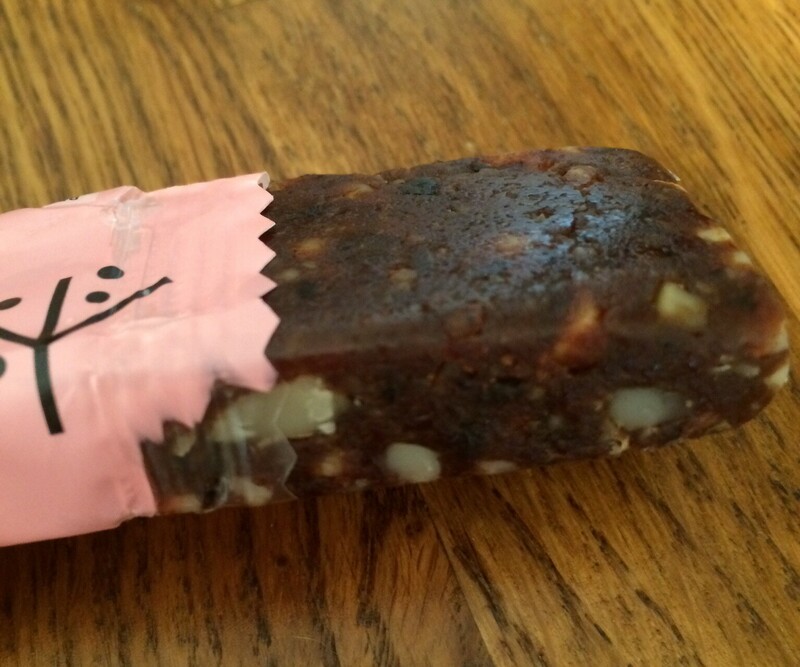 These bars are paleo friendly bars made of fruit and nuts and are a fantastic on the go refuel option. Although not certified gluten free or vegan they don’t have any gluten-containing ingredients in them, or dairy or other animal products so are perfect for anyone avoiding those things. They have two flavours – coconut and cashew, and cocoa and macadamia. 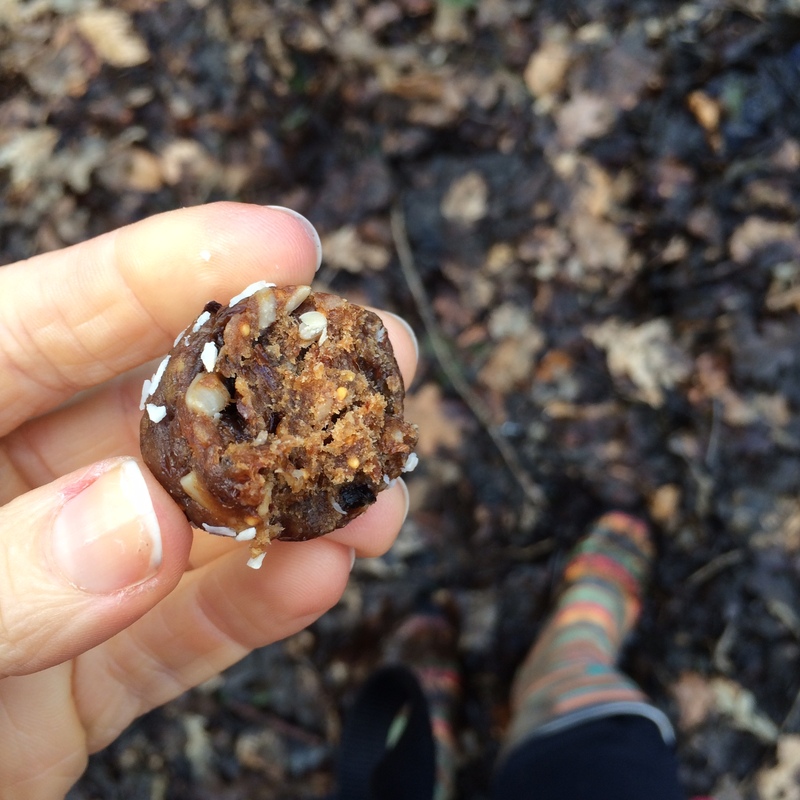 Both are really yummy – they’re packed with dates for sweetness and nuts for valuable protein and energy. I had them as my afternoon snack before my evening classes and they both hit the spot. The cocoa and macadamia one is definitely my favourite – it’s so moreish but also really satisfying. Neither is too sweet and they are both really filling. They make a great option if you want something healthier as a snack or even a brekkie if you’re rushing out the door and need something to grab. If you’re craving chocolate I’d definitely recommend the cocoa and macadamia one! 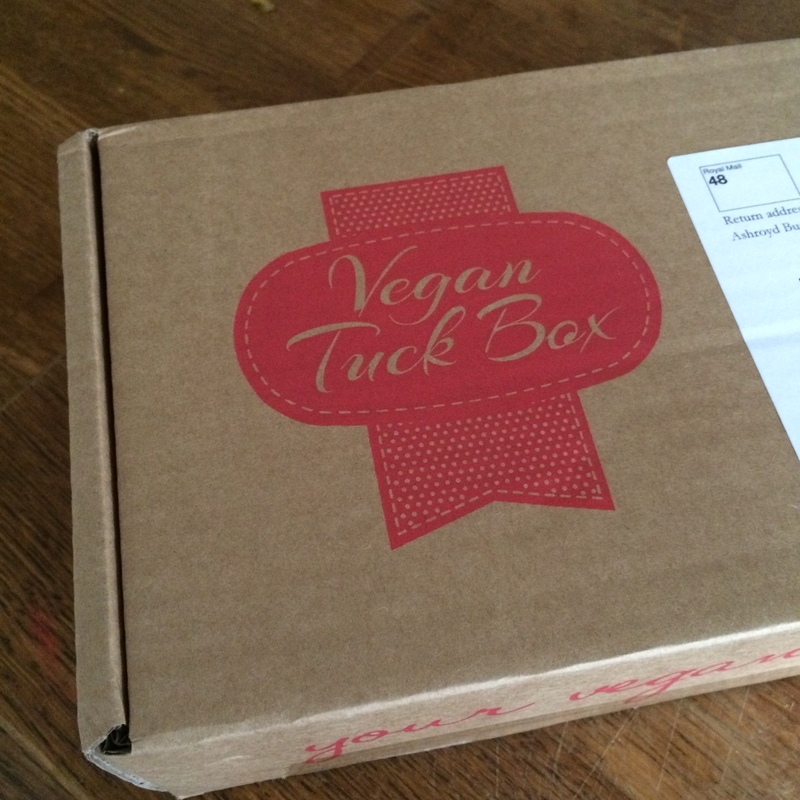 I’ve had the pleasure of trying another fab little vegan subscription box – this time from The Vegan Tuck Box. This is a great little box of vegan treats that you can subscribe to and be sent monthly, or buy as a one off box for yourself or as a gift. This is very much a treat box and full of exciting snacks from around the world. They specialise in sourcing the more unusual, hard to find treats. They also offer a gluten-free version of the box so there’s something for everyone. You don’t need to be vegan to enjoy the treat – they’re delicious regardless. The selection is a surprise but is a range of snacks, chocolates, crisps and even drinks. What I also love about them, is not only do the products not harm animals, they actually donate 20p from each box to Hillside Animal Sanctuary so are actively helping animals too! There are various options of box – classic boxes, mini boxes, vegan starter boxes, chocolate lovers box etc (more info here)! I was sent a mini-box to try. 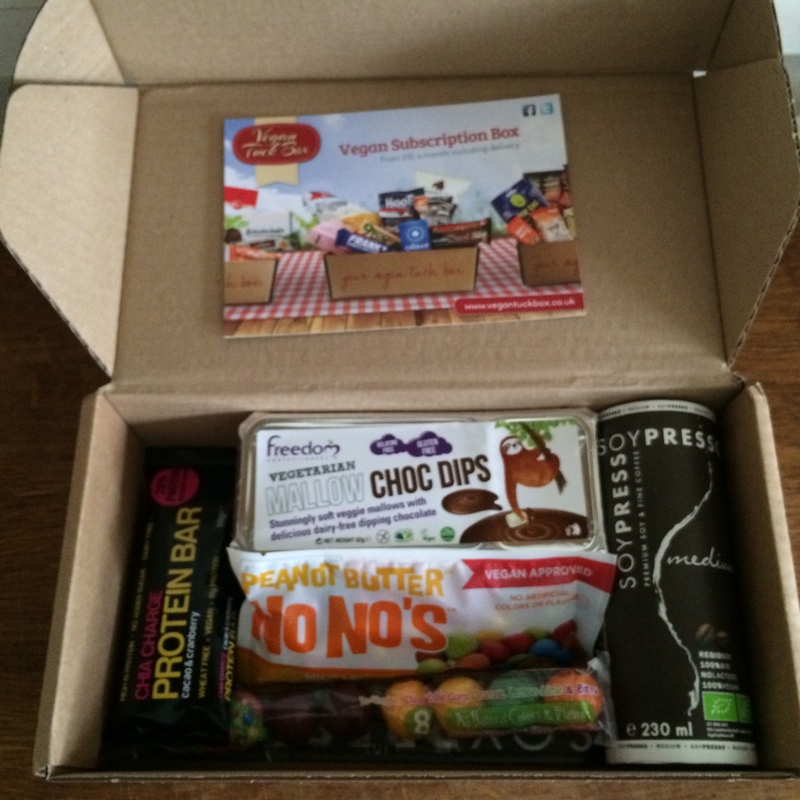 The box arrived safely and well packed and I was excited to try these treats. 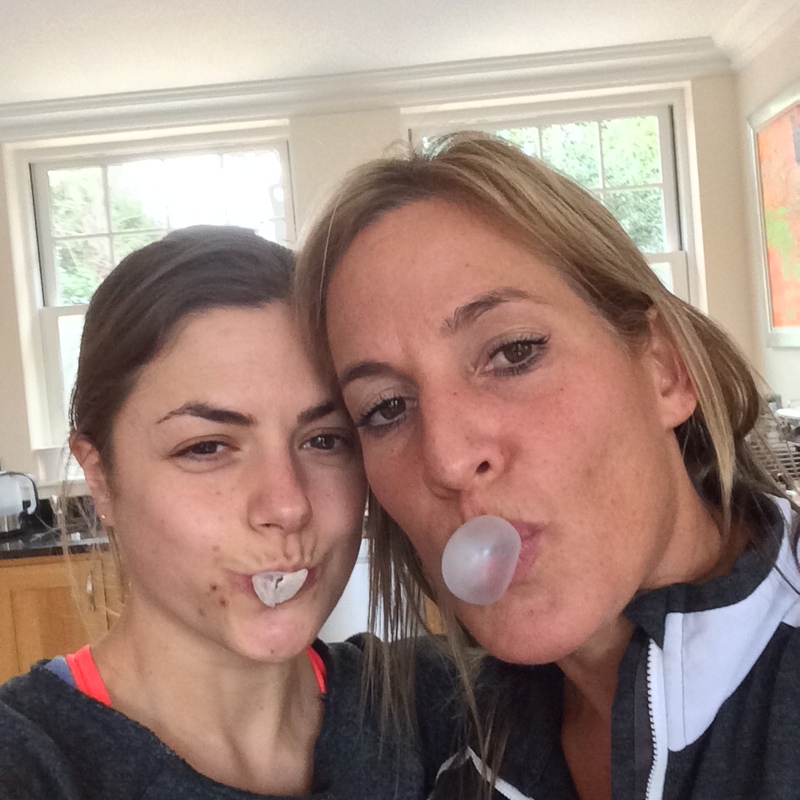 A treat is so much better shared with a friend so I shared these with my friend Colette from The Pure Form Fitness Kitchen. 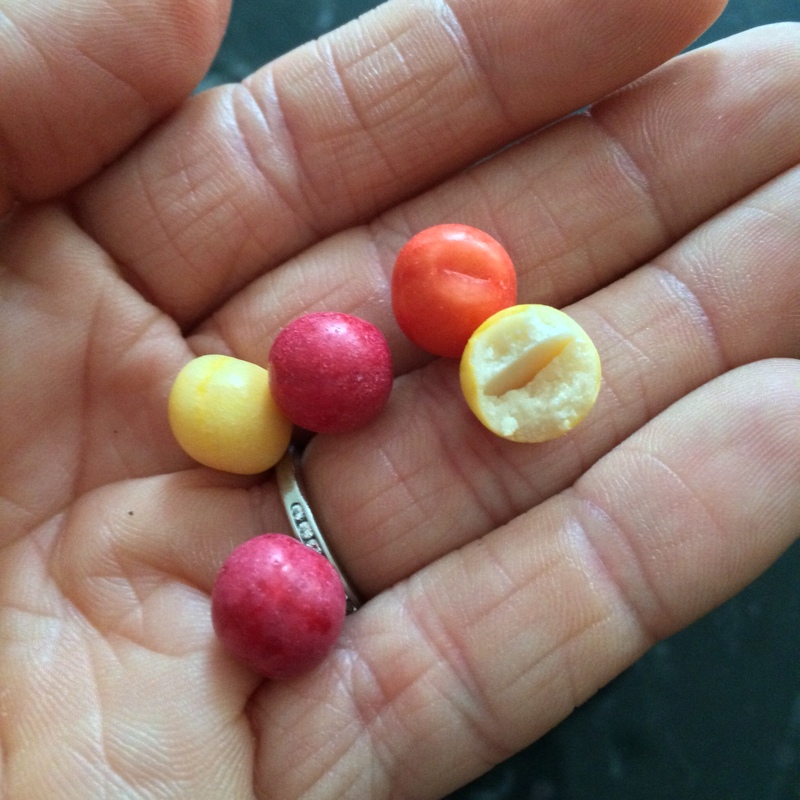 These were like mini smarties I guess, but with a peanut butter filling. I love peanut butter and was excited to try these. There were smaller than I expected which meant we wolfed them down! They were very more-ish and very sweet but not that peanut-buttery really. In fact they reminded me more of a white chocolate/caramel flavour. They were still nice though so don’t be put off if you’re not a huge peanut butter fan as they don’t taste that peanutty! They would make an excellent alternative chocolate treat for kids too – they’re colourful, fun, sweet and creamy. 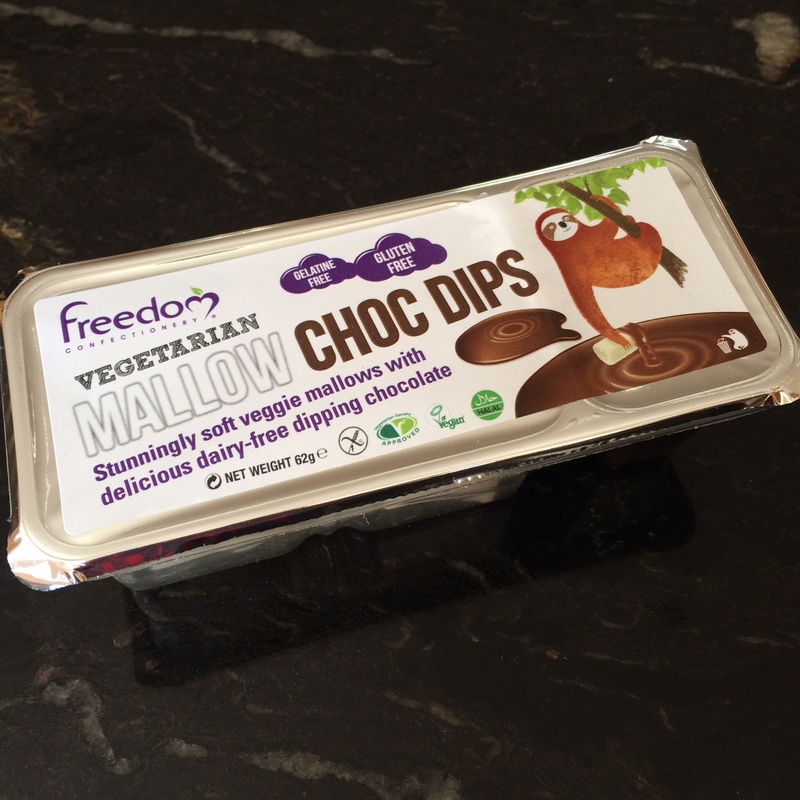 How fab to have some vegan marshmallows, and gluten free too! 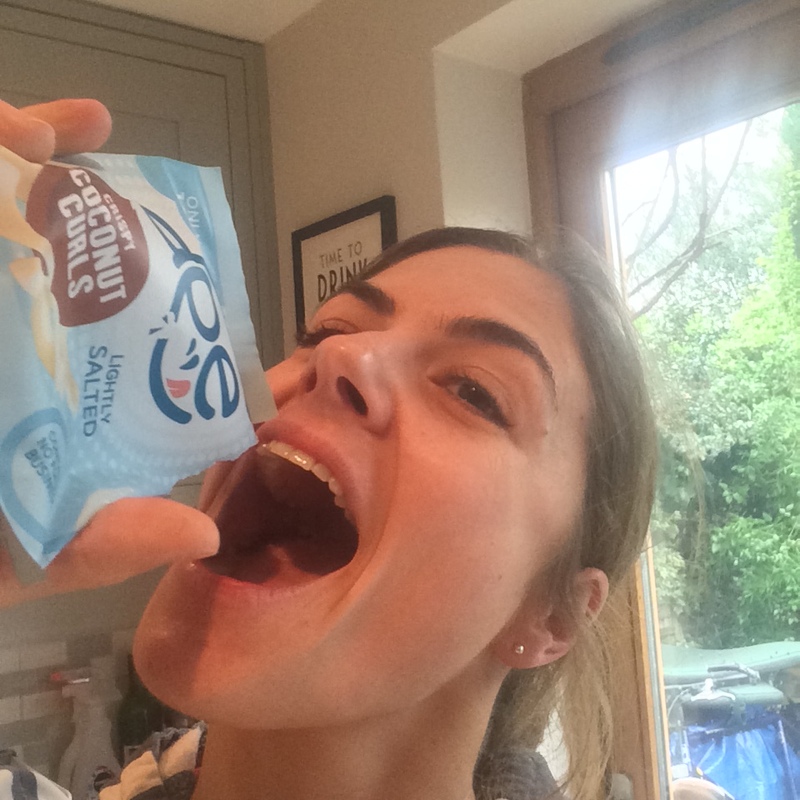 🙂 These were fun – I really enjoyed sharing them with Colette – they were yummy and definitely felt like a naughty treat! They’re super sweet so definitely best shared with a friend or loved one, but are delish. They’d be even better dunked in toasted coconut afterwards (in fact I may try that next time!). I am lucky enough to get some pretty awesome things to review and this is definitely right up there with my favourites. Now first off – the presentation is fab! 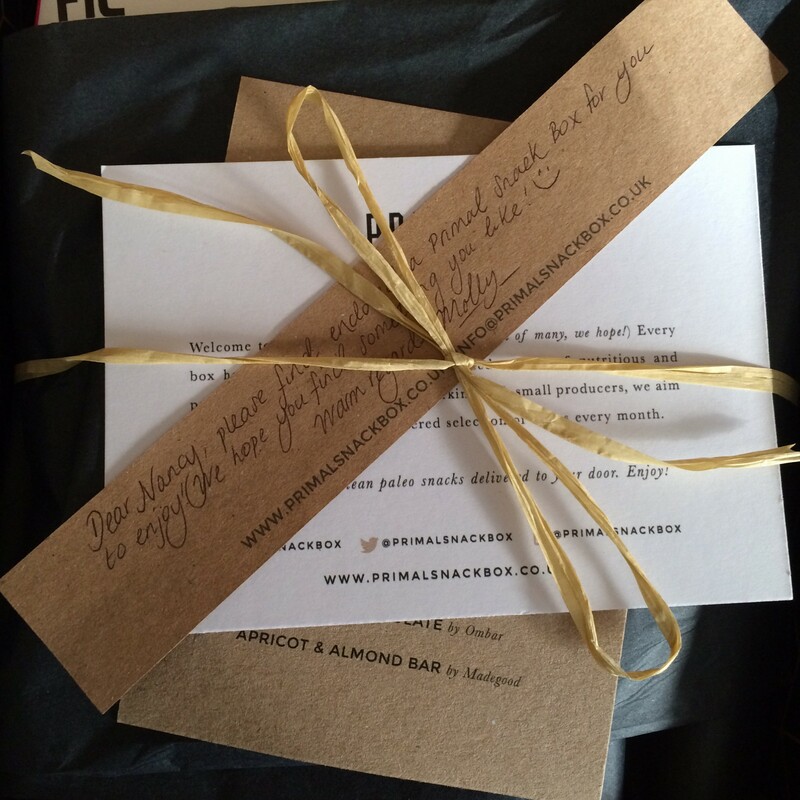 It arrives in a lovely sturdy box, well packaged and really feels like you’re opening up a little gift – it’s so beautifully put together and there’s even a little menu! I think I’m in love already! This box arrived at a time when I was about to dog-sit for my friend for 2 weeks so I was constantly on the go and often needed something to grab and eat as I took the dogs out – this box was perfect. That also explains why most of the photos are in the woods! 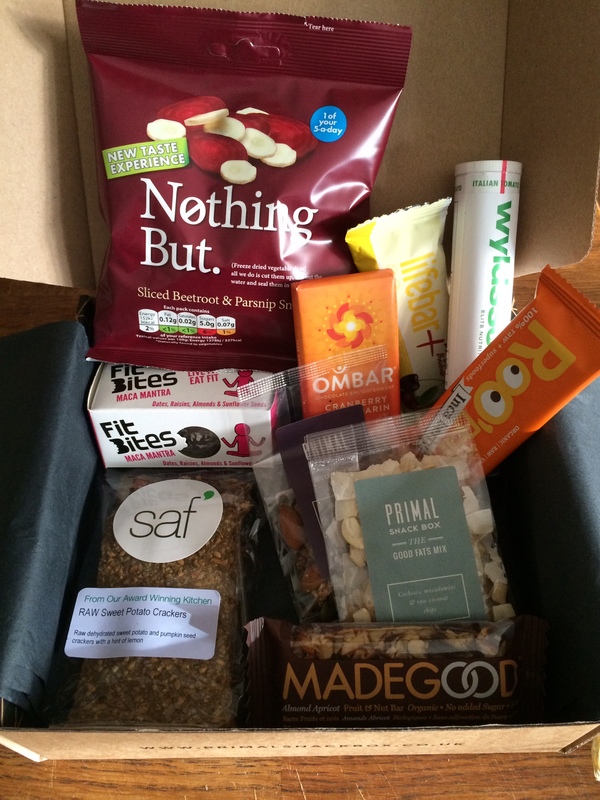 Primal snack work with small producers which is another thing I really love and it’s a great way of introducing you to products you may not otherwise have come across.The box contained all these wonderful things! 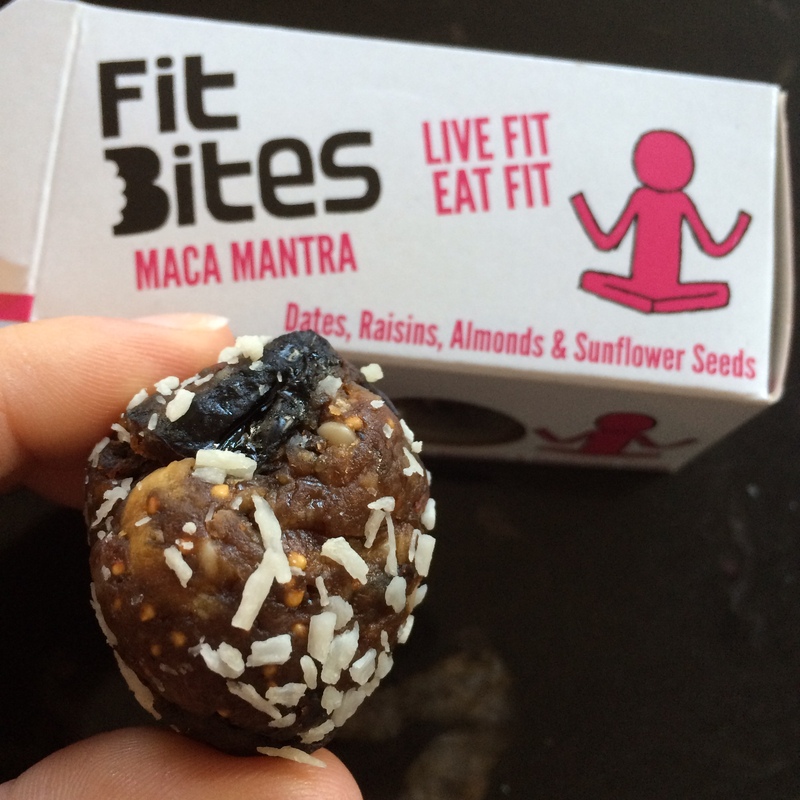 Fit bites – these were really good – little balls of fruit and nut – like little power houses of energy. 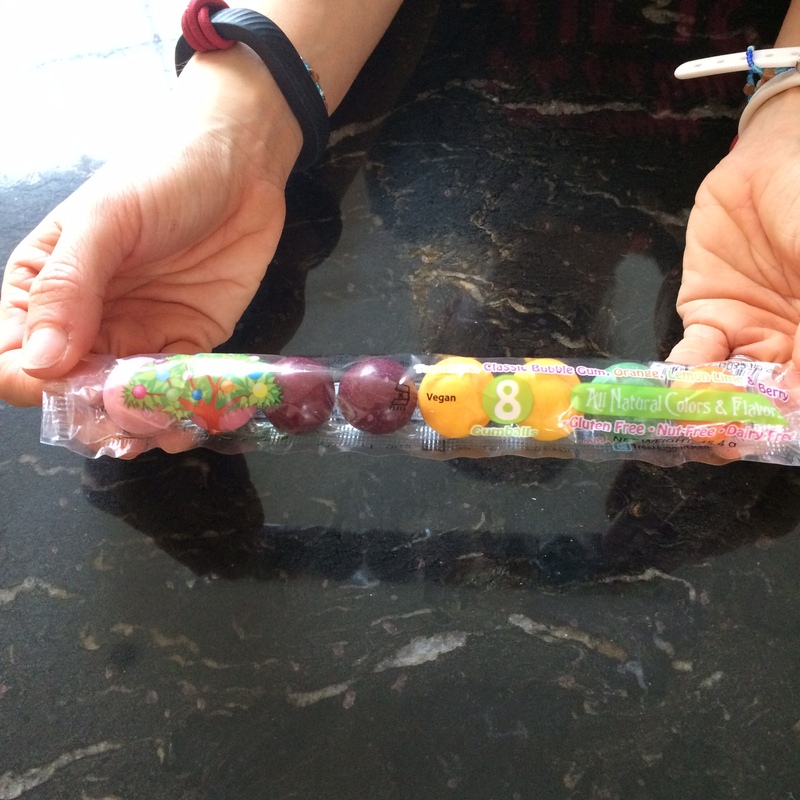 You get two in a pack, they’re generously sized and they tasted delish – great shot of energy for the walk. 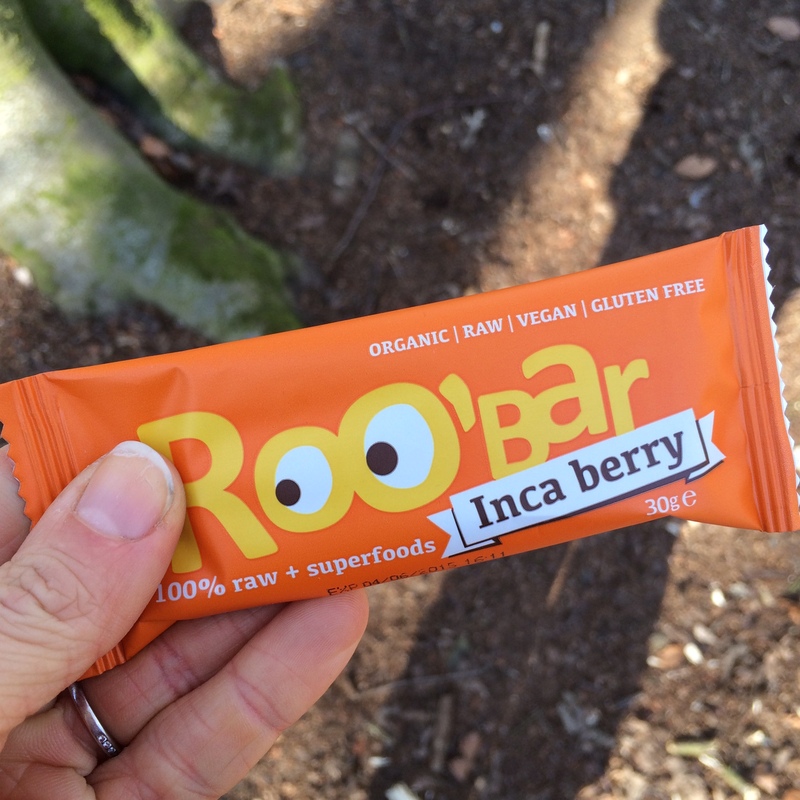 Lifebar – Berry, Maca and Baobab – now this was a surprise – never tried one before and wasn’t sure what to expect but it was lovely! Tangy yet creamy, chewy and really filling. Will definitely get these again! 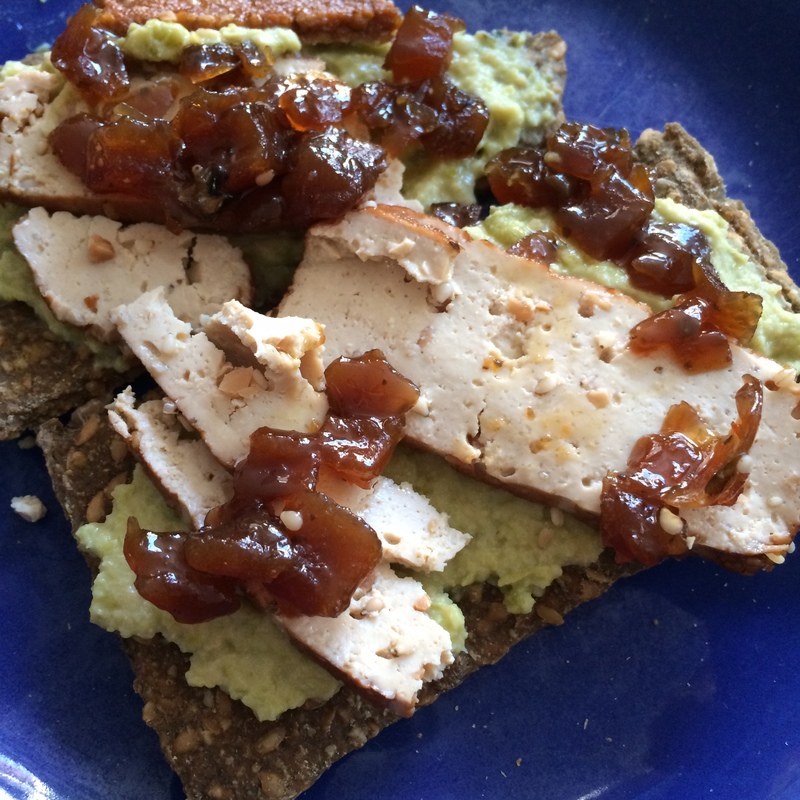 SAF Raw sweet potato crackers – I had these for my lunch, spread with wasabi hummus and tofu and they were fab! They’re a nice thick cracker, not super crunchy but with some crack and not soggy at all. They held up under the hummus too and didn’t go soft. Loved the flavour and they are super filling. Another one I will definitely get again. MadeGood – almond apricot – now to be honest I was expecting an overly sweet, bog standard cereal-type bar here… but no – not at all. This is all nuts and fruit (naturally as it’s Paleo) and was really tasty. 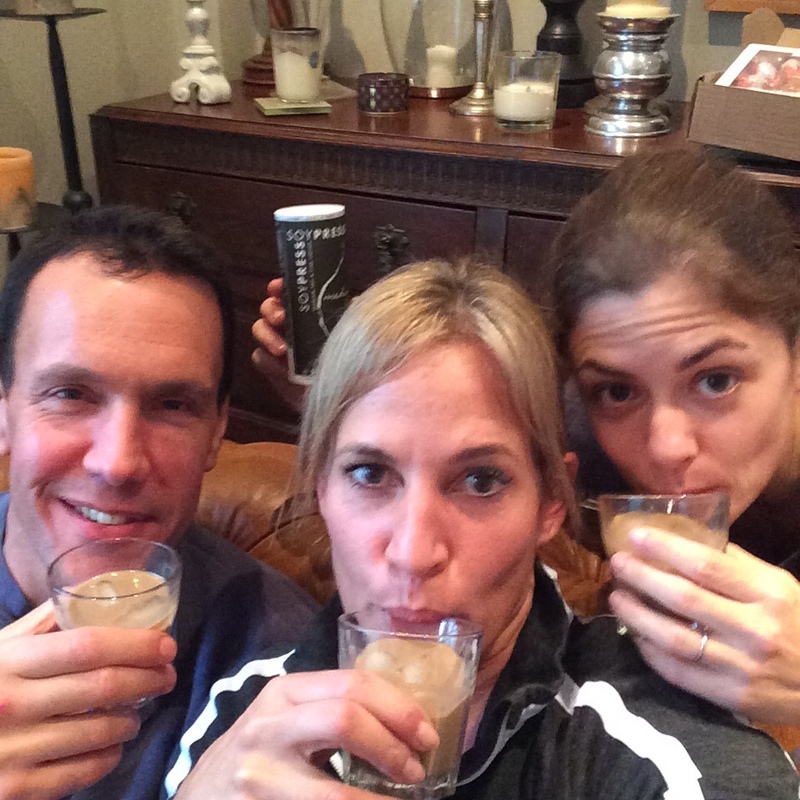 Sweet but not overly so and full of good stuff – tasted great! 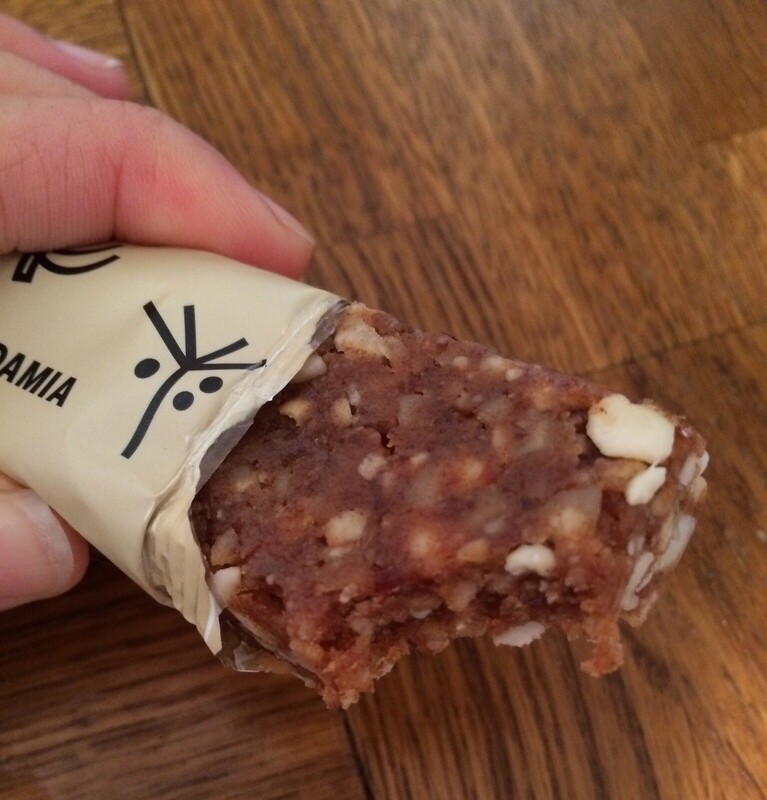 Wyldsson Italian Promix – This was probably the most unusual thing in there for me – I’m not used to savoury snacks like this. It was good – I downed half of it – it’s not too tomato-ey or salty but it is tasty. I sprinkled the rest over my salad :). Really nice and I wouldn’t have tried if it hadn’t been in the box as it’s not the sort of thing I’d go for in a store. 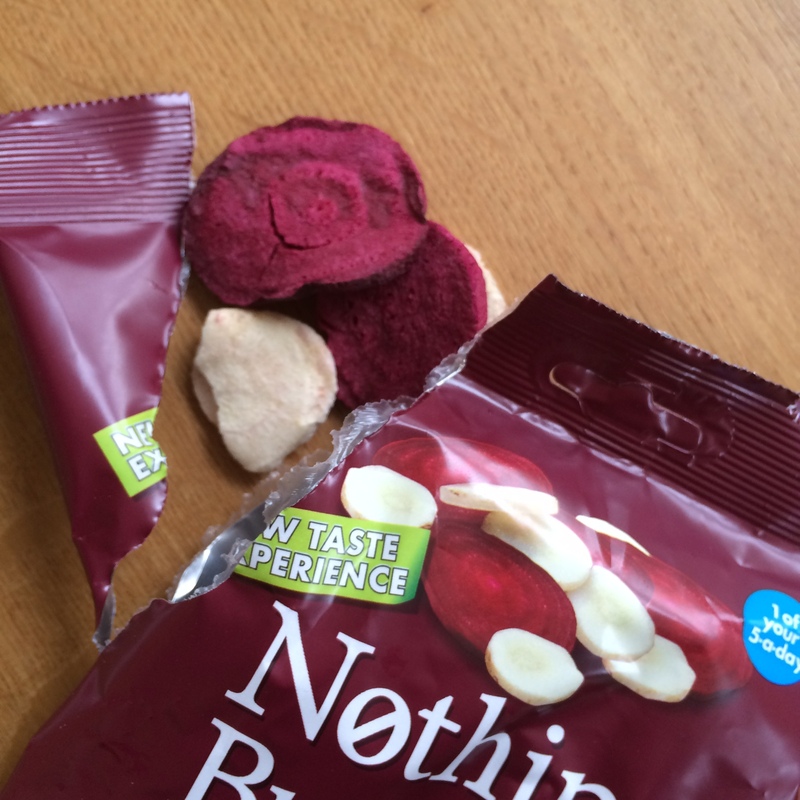 Nothing But – Beetroot and Parsnip – these are exactly that – nothing but.. dehydrated beetroot and parsnip crisps. They’re really yummy – no added salt or flavour and make a perfect vessel to dip in to hummus! As a savoury snack on their own I think I’d want a bit of salt however, but that’s easily done. No nasties in them at all and the beetroot ones weren’t overpowering in flavour. 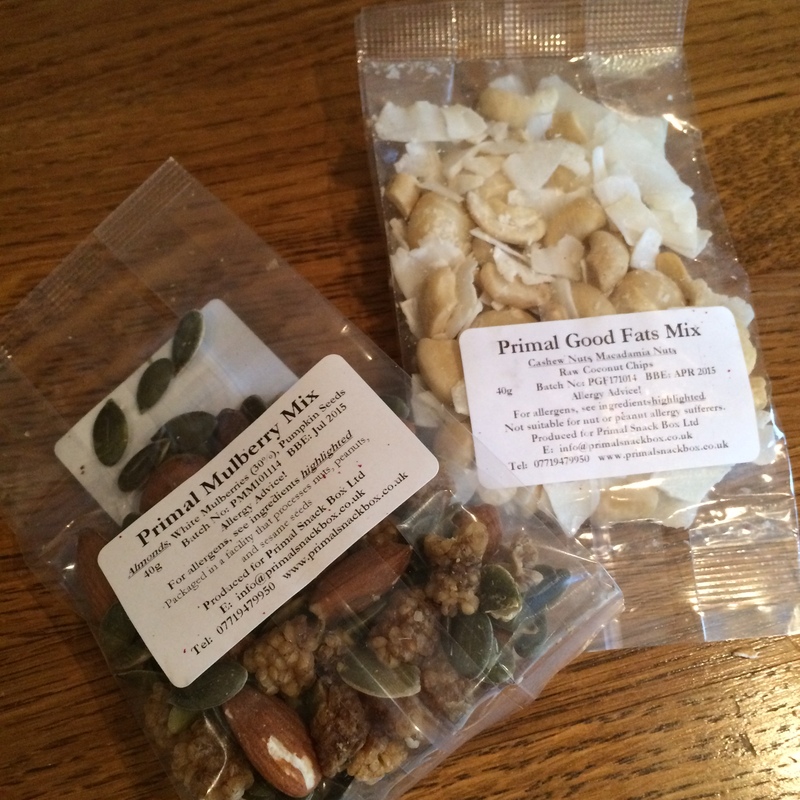 Two bags of mixes from Primal themselves – the mulberry mix (almonds, mulberries and pumpkin seeds) and the good fats mix (cashew, macadmia and coconut) – perfect snack sized bags of 40g and both delicious. A great way to control your portion size too. Lovely combinations of flavours. 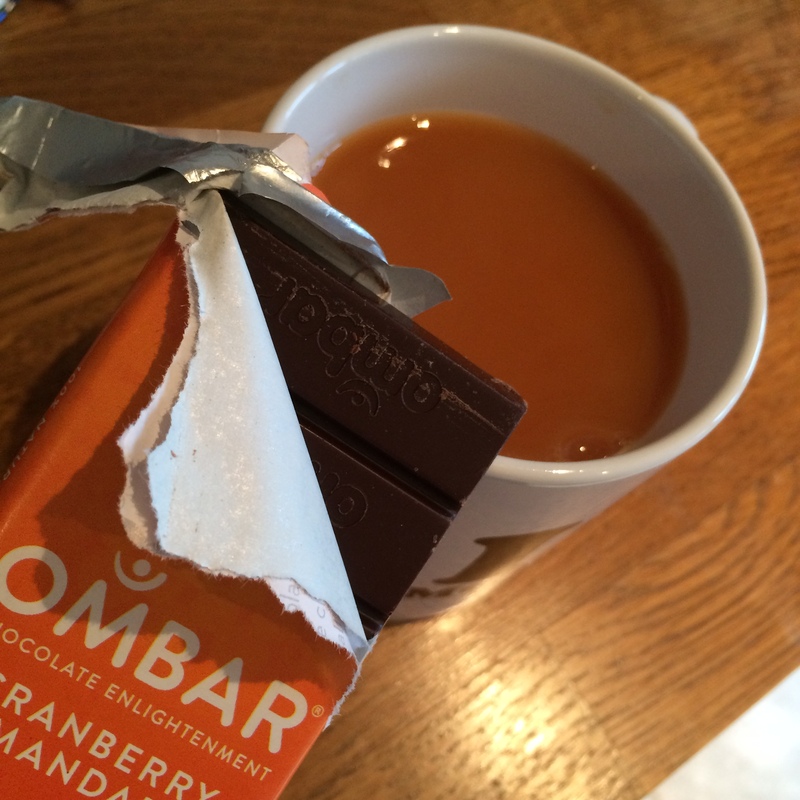 Finally – Ombar – cranberry and mandarin. Now anyone who follows this blog knows I have a penchant for orange chocolate so this was bound to be a winner. 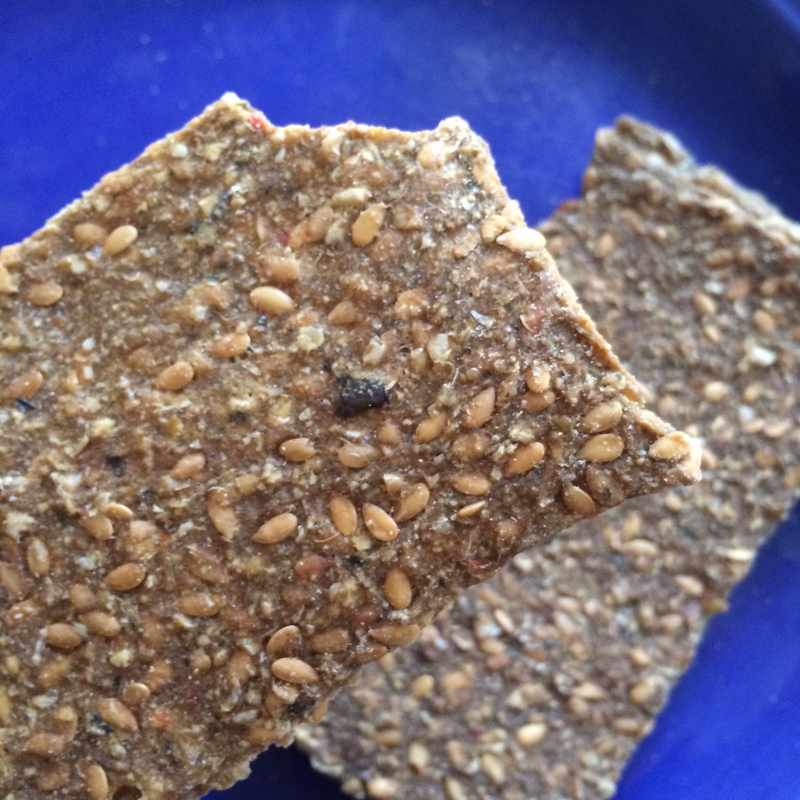 This raw choc is lovely – and even nicer dunked (quickly!) in a cup of tea! 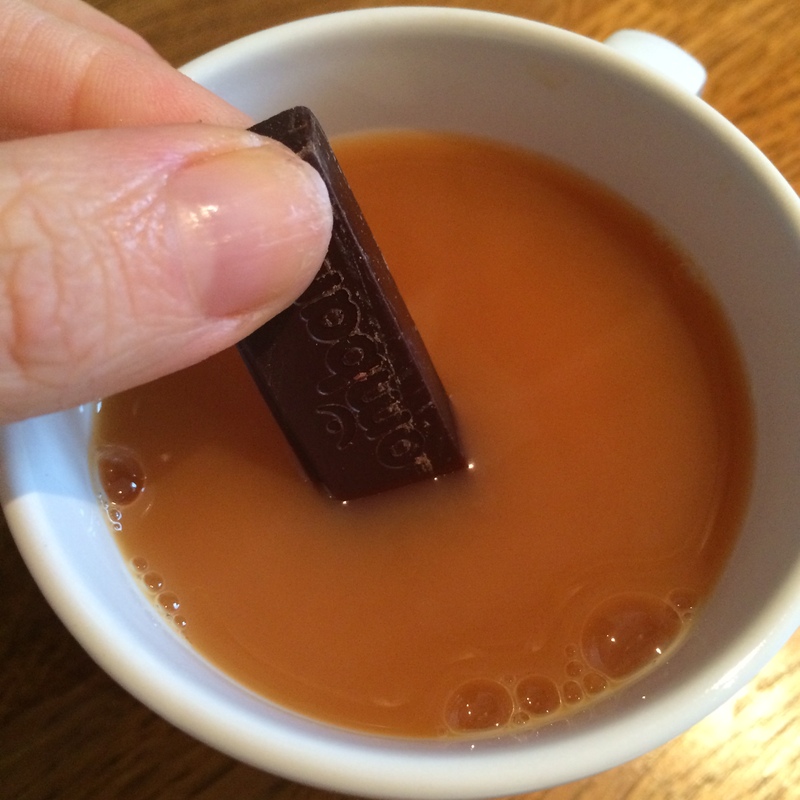 Creamy smooth chocolate, but not too melty to the touch and a lovely hint of flavour – definitely the thumbs up from me! So all in all a pretty amazing box of goodies! What I really love is the way you get a great range and selection of snacks for your money – and things you may not otherwise have tried. There’s a good balance of sweet and savoury, slightly naughtier and also healthier treats and all packaged so beautifully. A box would make a fantastic gift for someone, or a great way to introduce someone to healthier snacking. I’m going to order myself another box right now! 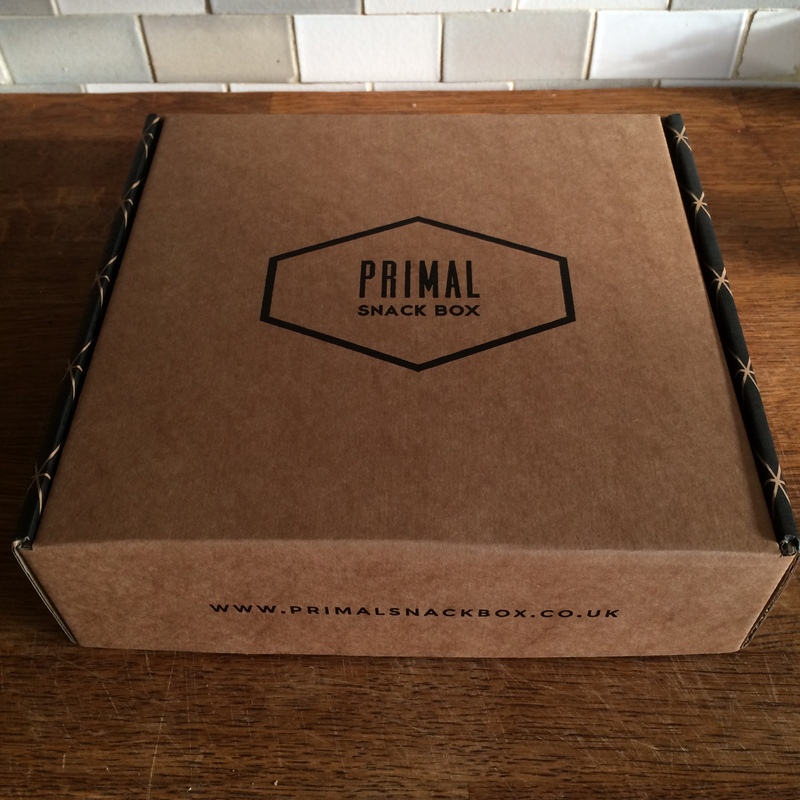 Thanks again Primal Snack Box for keeping me going on those dog walks and vastly improving my snacking over the past few weeks! Now don’t forget – you can get 10% off your first box by using the special discount code PUREANDSIMPLEBAKES – just click through and place your order! And find them on facebook, twitter and instagram! 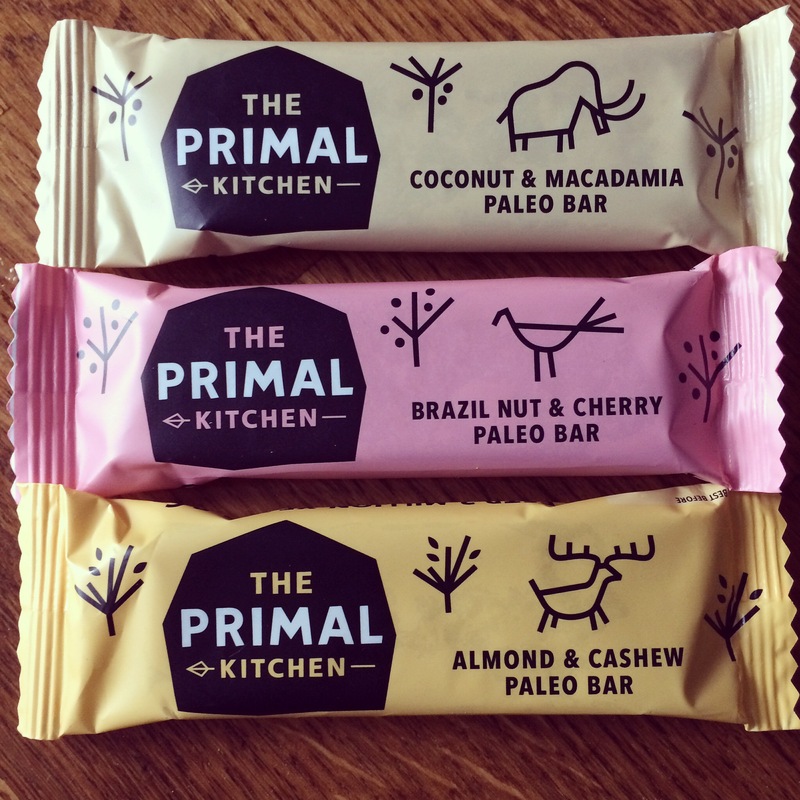 Any company founded by one woman, some nuts and a blender is always going to be good and The Primal Kitchen is no exception if these bars are anything to go by! 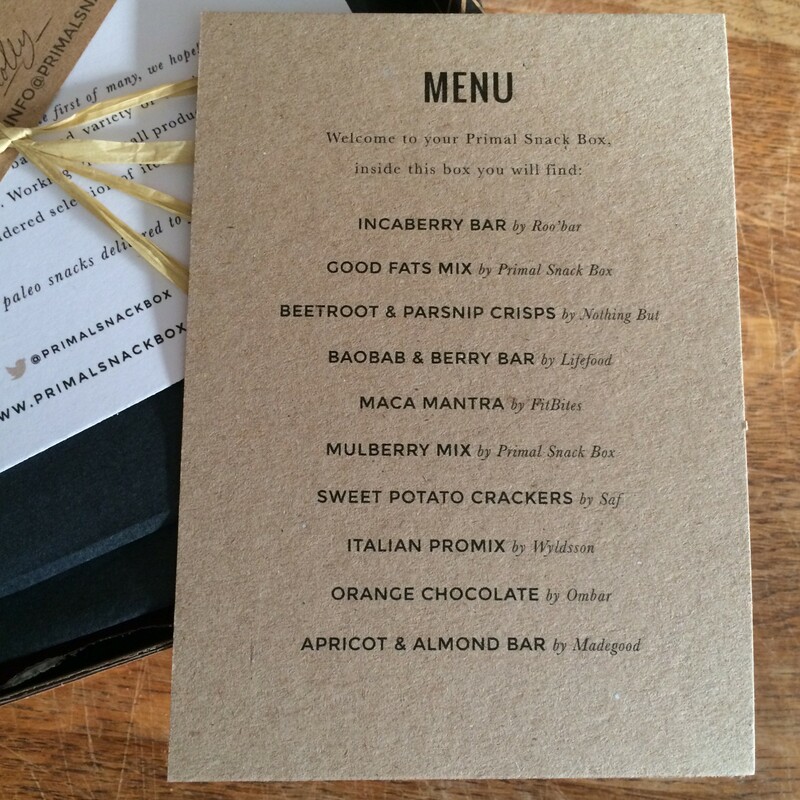 I spotted one of these bars in a local health food shop some time ago and quickly realised that not only did they sound delicious but the company was based locally in Surrey. I’m always keen to promote and support local enterprises, and review potential snack options for you all and I was lucky enough to be sent some of these bars to try. There are currently three flavours available (though there’s a delicious sounding Hazelnut & Cocoa fourth on the way!) – Coconut & Macadamia, Almond & Cashew and Brazil Nut & Cherry. They’re made with no more than 5 ingredients and are full of whole foods and free from gluten, dairy, refined sugars and grains. 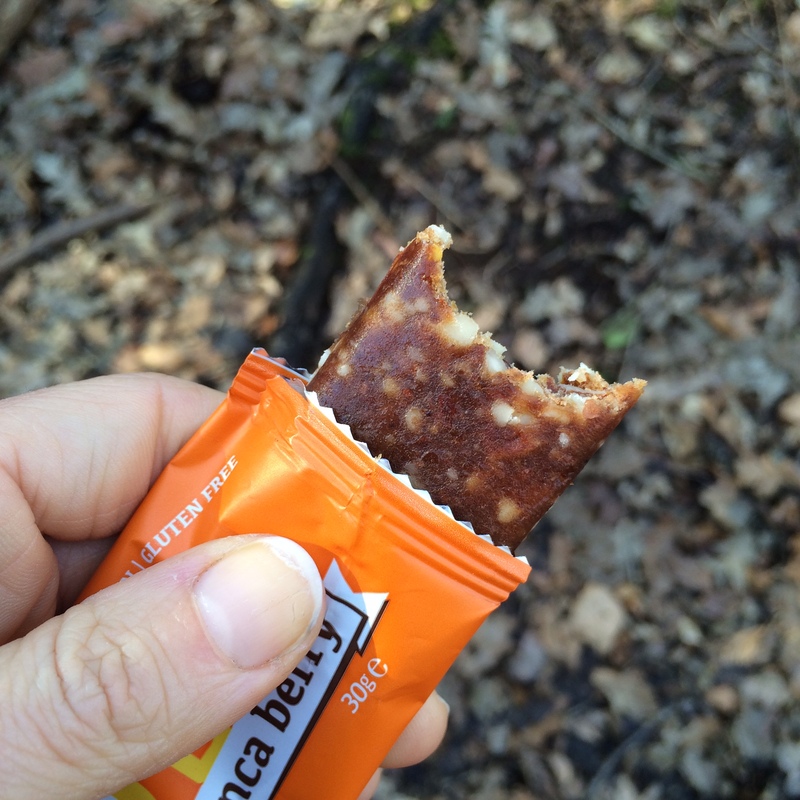 I train a lot and am always on the look out for healthy, portable snacks to refuel with. and these tick the boxes on that score. 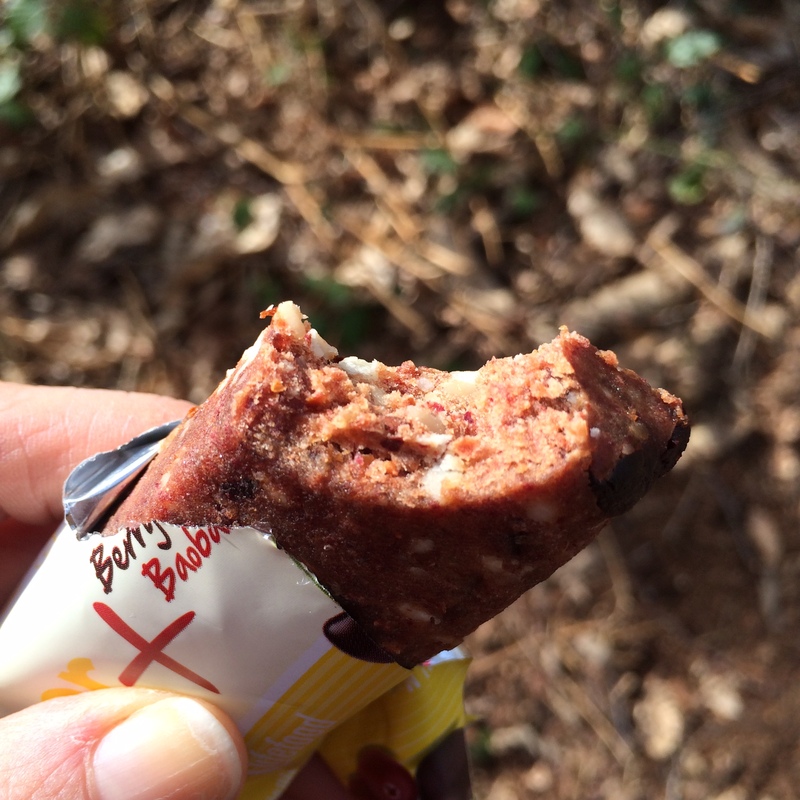 Although in an ideal world we’d all be making our own protein-packed healthy snack bars, in reality it’s just not possible all the time. 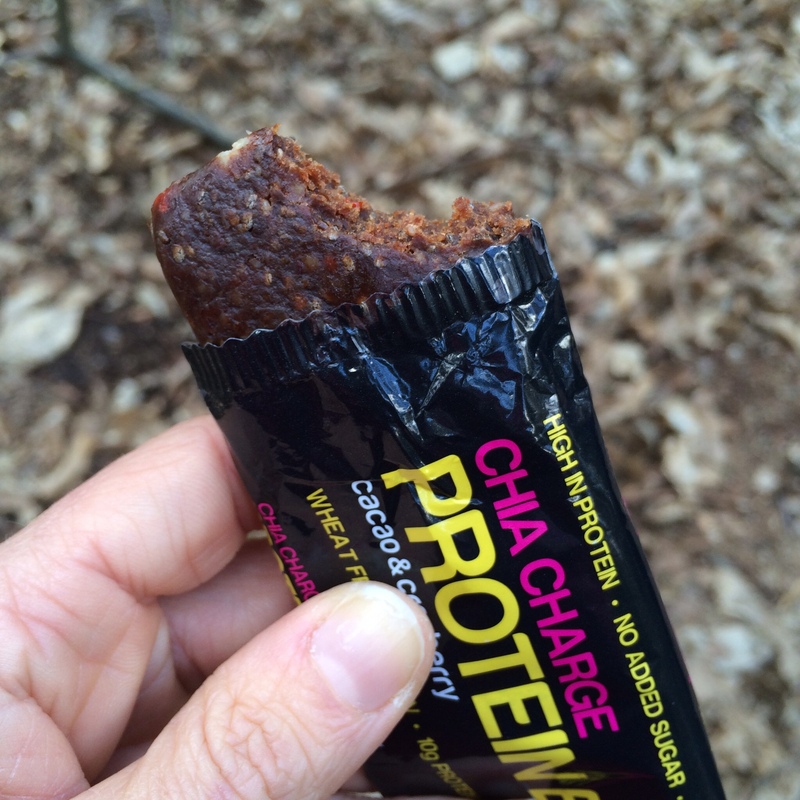 These are a great source of protein and good fats, bursting with energy for when you need to grab something on the go. They’d be great for children too. 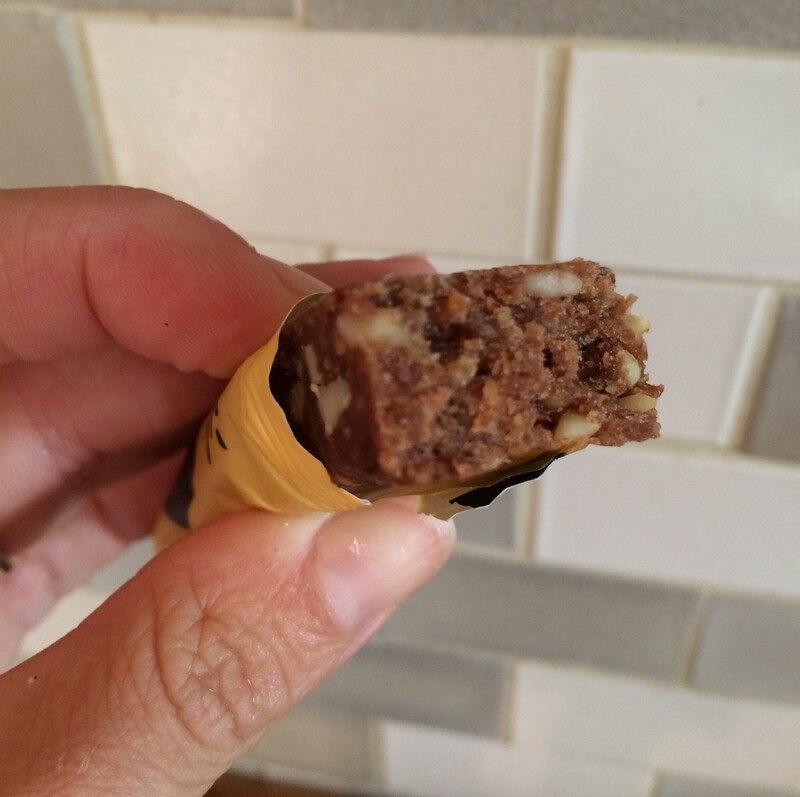 So on to the bars – the Coconut &Macadamia bar was my first to try. 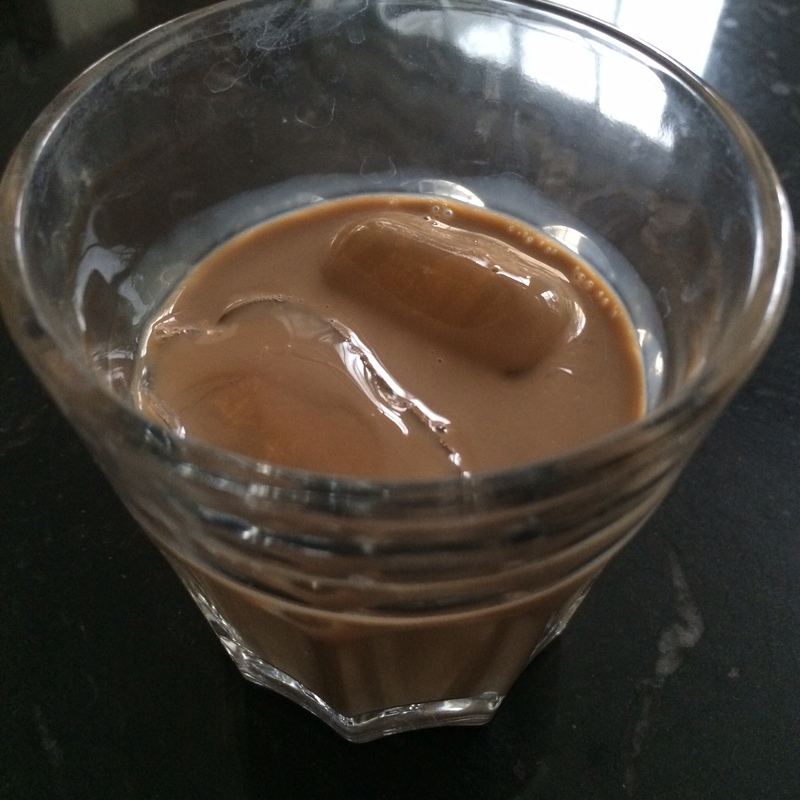 This was really good – I love the combination of coconut with macadamia. It was chewy but with lovely big chunks of nut and had loads of flavour. It also looked great too. The Almond & Cashew Bar was very tasty. Not too sweet, and not too bland with a really good balance between the nuts. It looks great and again has lovely chunky bits of nuts. I also like the fact that it’s not too oily (as some other similar bars can be). 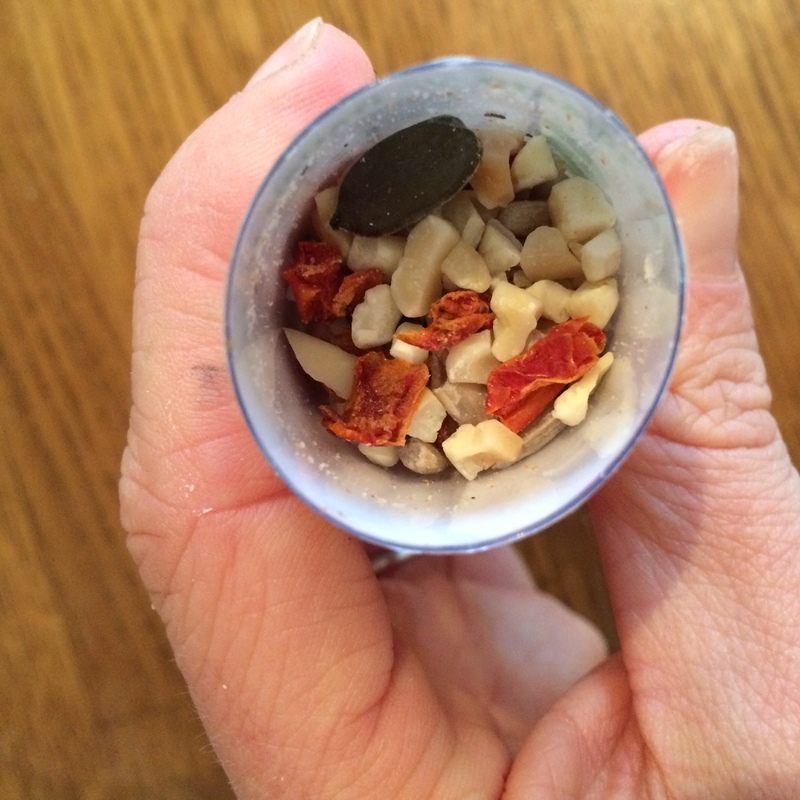 I saved the Brazil Nut and Cherry one until last – both with trepidation and excitement. I’m not a big fan of Brazil nuts, but I LOVE cherries… so I was really keen to taste this one. Would the cherry beat those Brazil nuts and win me over? Well indeed it did! This is probably my favourite (though it’s so hard to pick one! 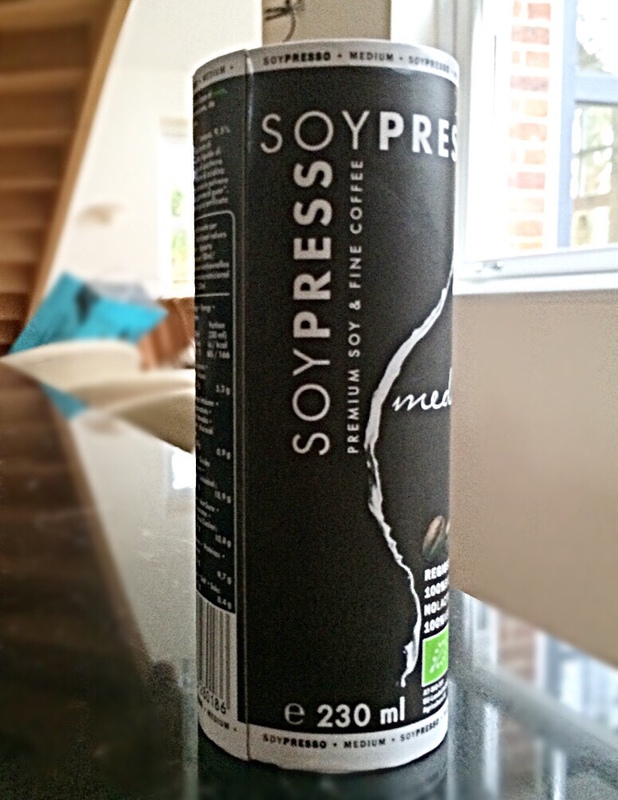 ).The sweet tartness of the cherries balances the Brazil nuts perfectly and I actually loved the combination. I often find Brazil nuts too rich for me but combined with the cherries they were great! They all looked homemade – which I love, and they were all really filling which is great. I also love the packaging and design of the products. 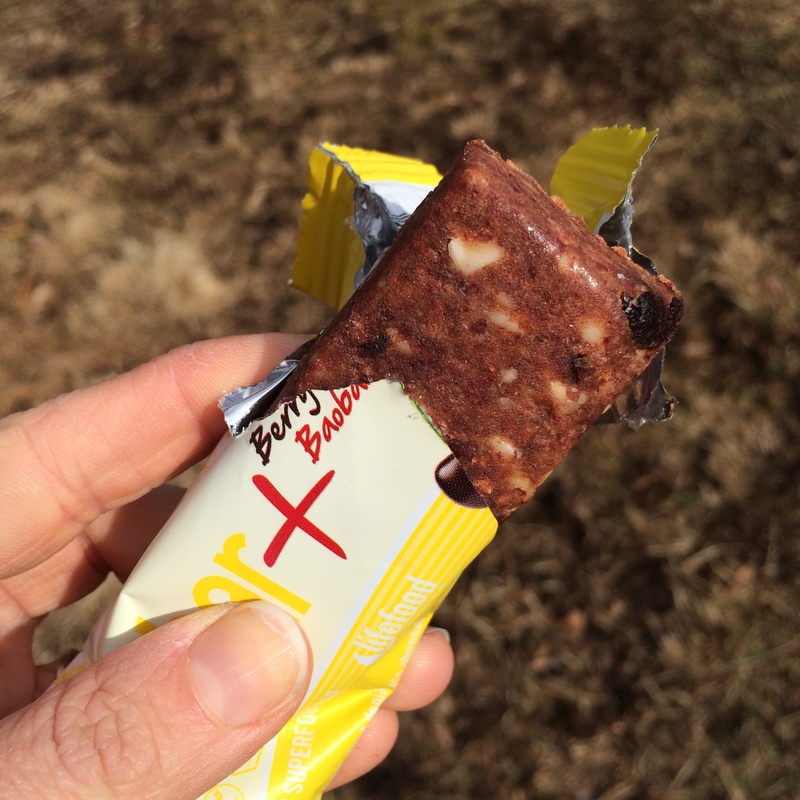 They’re designed for people following a Paleo diet, but would suit anyone avoiding gluten, dairy or refined sugars in their diet and are great for anyone Paleo, or not, who wants a grain-free, healthy snack bar. 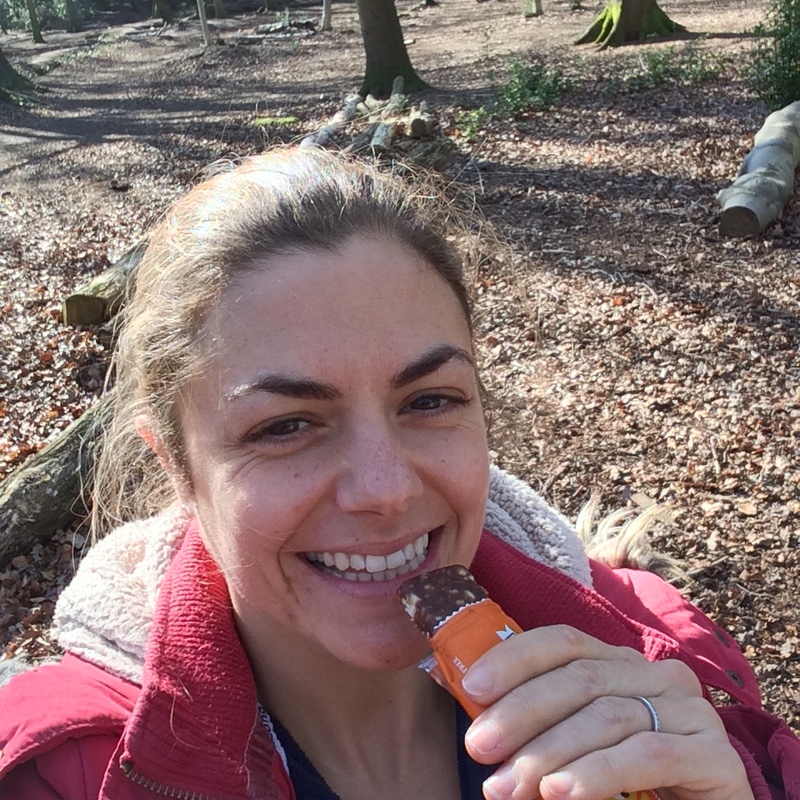 The bars have been created by Suzie Walker, a Nutritionist, and you can really taste the love and thought that’s gone in to these and it’s brilliant to see snack bars which aren’t just full of sugar and other rubbish actually competing with the big boys. 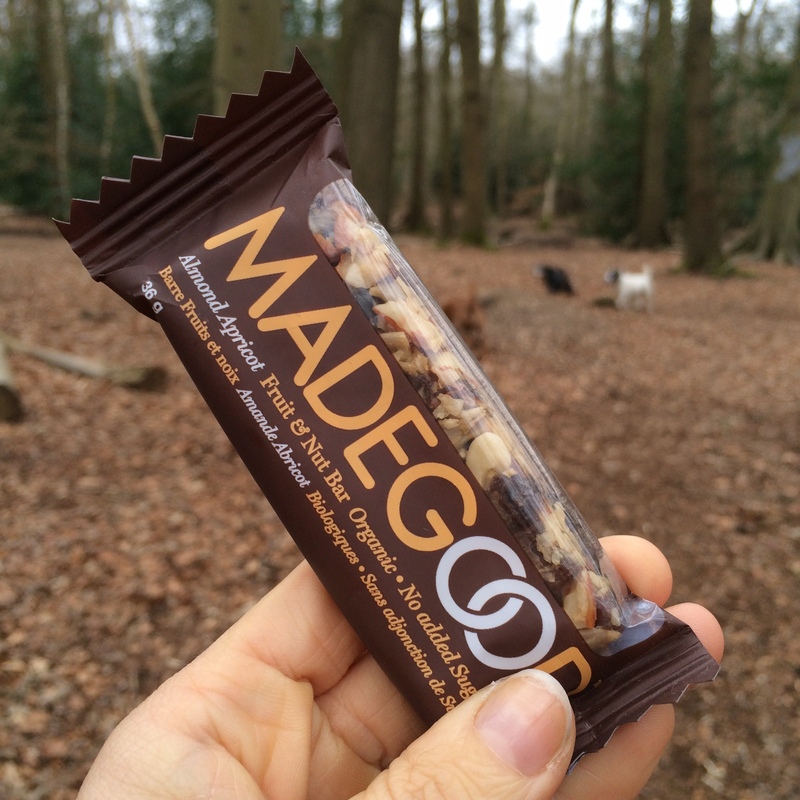 These bars are now available in Ocado and other online shops (see list here) and will soon be in Tescos too. So go try them! I promise you won’t be disappointed. Remove the central stalk of the cauliflower and cut in to florets. Place in a food processor and pulse until it is chopped up nice and small. 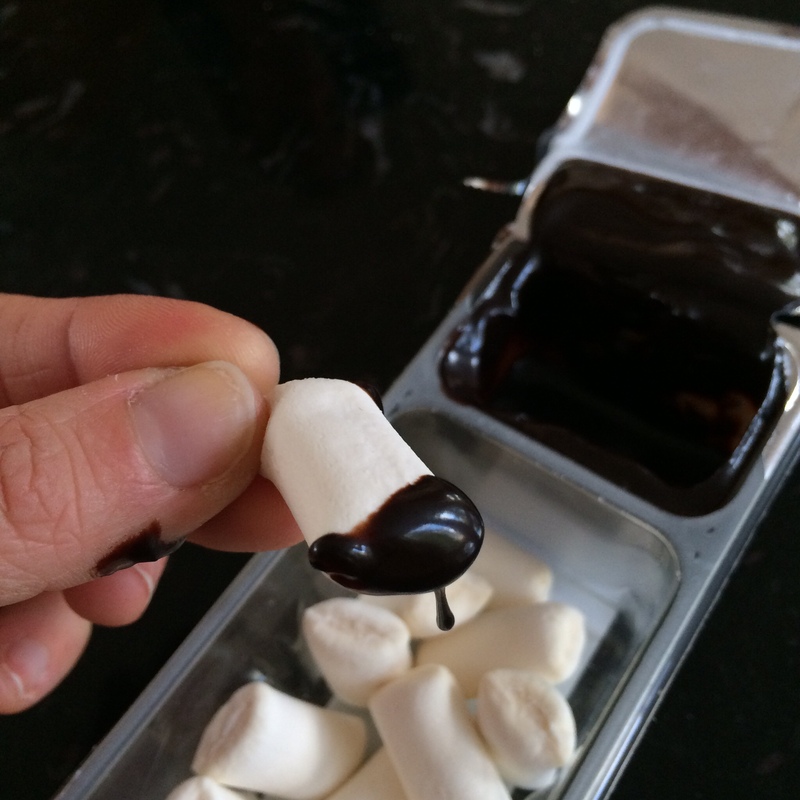 Pop it in to a bowl, cover with clingfilm and microwave on full power for 3 – 4 minutes (until tender). Allow to cool (unless you have asbestos fingers!) and then tip in to a clean tea towel. Wrap it up and then wring the life out of it! You want to get rid of as much water as possible. Place the wrung out cauliflower back in the bowl and add all the other base ingredients, with the egg or egg substitute going in last. Mix together well (hands work best). Once it’s all well mixed tip it out on to a lined, greased pizza tray (or baking tray) and press out in to a pizza shape. You want it to be well squished down and thin but not too thin – a couple of mm thick. Place in the oven and cook for 7 – 10 minutes until it just starts to colour.